Each edition, Porlwi chooses a theme that encapsulates a key element of the city’s regeneration. 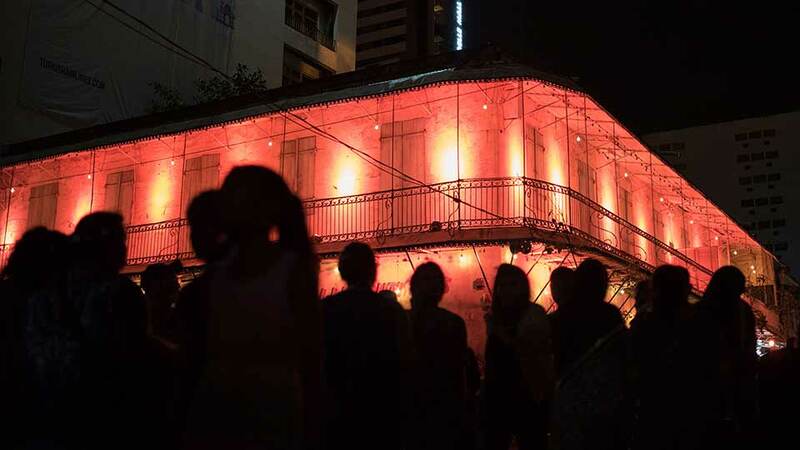 The theme encourages us to reflect on a communal vision, initiate a dialogue and engage our community in taking action to enhance Port Louis’ cultural aura, save our heritage, and improve the urban infrastructure and daily lives of the city’s dwellers. In 2015, the people celebrated their city; in 2016, the city celebrated its people. This year, it is a Porlwi by Nature that took root in the historic streets of our capital. The festival asked that we pause in the midst of our frantic lives to reflect on our relationship with the natural world, a relationship that has changed as dramatically as our perception of it. We humans have imagined nature in a great many ways throughout history, at times being acutely aware of the call to nature, at others, recklessly depleting its resources. In more recent times, we have taken an ecological view of the natural world, perceiving it as a connected, interdependent whole. Porlwi by Nature gathered our community to reflect on nature and our surroundings, and to imagine, together, tomorrow’s city and a greener future. To raise awareness about the environment and our patrimony; reintegrate green spaces at the heart of our city; to honour our rich botanical history and our unique endemic fauna—these are our aspirations, dreams and ideals for a better Port Louis. What is your vision of the city of the future? Fort Adelaïde (the Citadel), which looms above the city, perched upon a hill, is, in a way, the lungs of the city. The slopes of the hill on which it stands—dignified and imposing—, are the setting for a reforestation project by Friends of the Environment and UNDP-Forena. The fort looks out over the rooftops of the old and the new, the bustling streets swarming with crowds, noise and the accumulated memory of the past centuries. A sense of openness pervades, for from atop the hill, one can look out onto the port and the expanse of sea beyond. In the shadows, the jagged mountains stand tall, in a half-moon shape. They too seem to be guarding something. 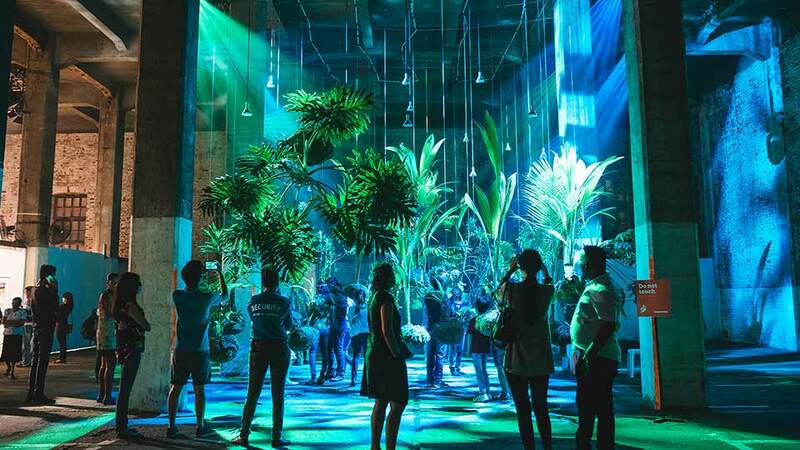 The luminescent interactive installation mimics the steps of the phenomena of photosynthesis, the process by which green plants use sunlight, chemical energy, to synthesize foods from carbon dioxide and water, generating oxygen as a byproduct. 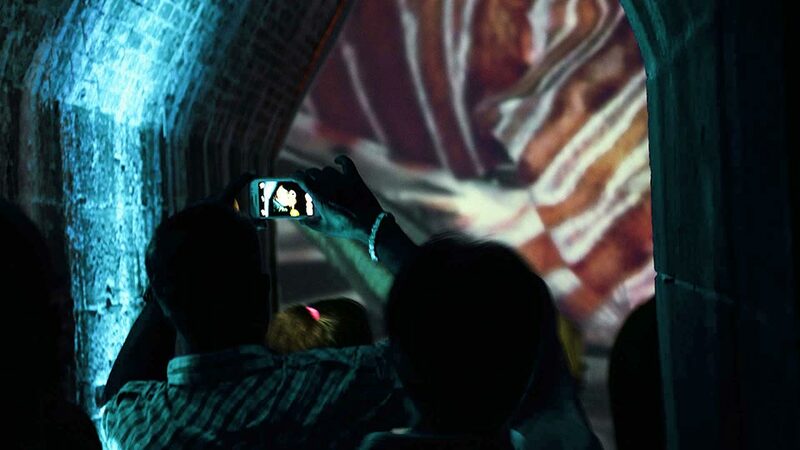 The dynamics of technology are integrated to the slopes of the Citadel to create an entrancing itinerary in which the festival goer evolves and progresses as he undergoes the various stages, from the roots of the plant to the Cosmos, from the infinitesimally small to the astronomically big. In the darkness, hundreds of small suns appear to be flickering, casting a soft light against the old stone walls. Stepping closer, the viewer realizes the glimmer is contained in a small glass jar. The light emitted is sunlight captured. 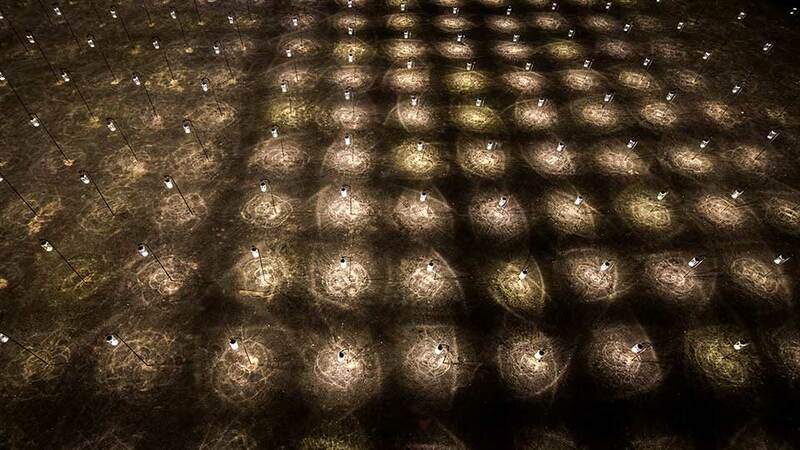 The five hundred lanterns—solar jars—were assembled by five hundred children from a variety of associations, who, in the creative process, assimilated the function of solar energy, a renewable energy of the future, of their future. Scintilla explores the relationship between Man and his fascination and reverential respect for the night-sky. 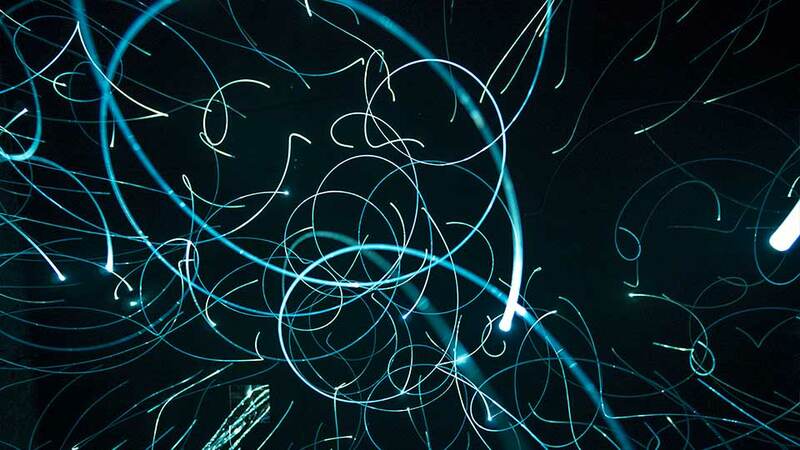 The artist relies on technology—optical fibers, sensors, light sources, and coding—to create an interactive and poetic journey among the stars. 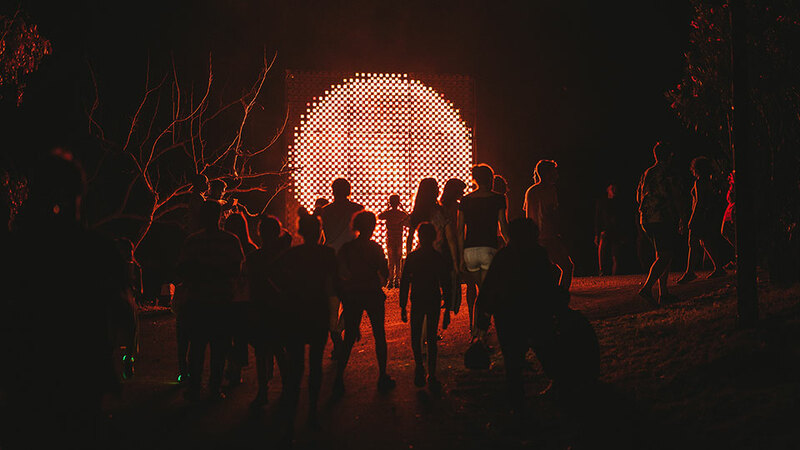 The festival goer’s proximity to the installation (through motion play and even swings) creates an ecstatic bonding experience. The viewer—submerged—is a witness of the depths of the oceans, of the creatures that inhabit the underwater world. The photographer’s desire is unambiguous: he, quite simply, wants to raise awareness of the ethereal beauty of the body of water that surrounds us, that could engulf us. His underwater stills capture the fragility of the life below. It is therefore our duty, as humans facing a world in which we could not survive, without which we can’t survive, to preserve it, and fight for it. A 360 degree video of the undersea further submerges the viewer in Subsee. The dystopian, apocalyptic portrayal of Port Louis forewarns the viewer of what the future may hold if we do not take the time to listen to Nature’s plea. 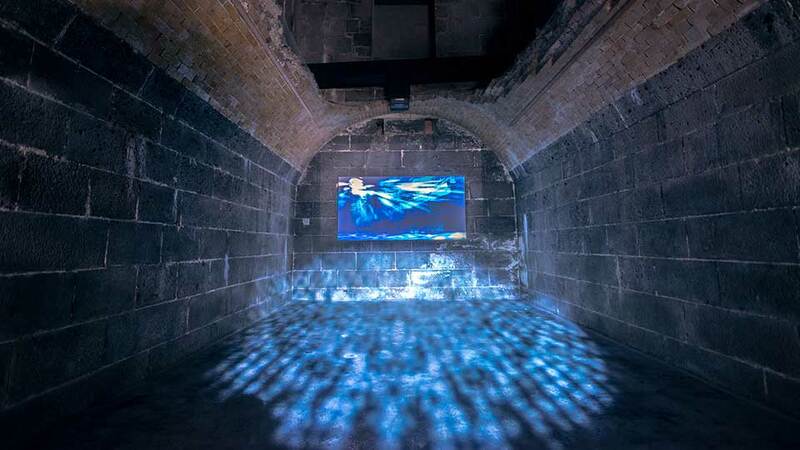 The flooded, submerged city that recalls Atlantis is the artist’s reflection on the risks of global warming. The city’s streets are its arteries, linking one place to another. It is in the streets that the city happens, really. People build their houses, their commerces along the paved streets. It is on these same streets that hundreds of thousands of persons have walked, bartered, discussed, crossed paths… Against the hum of the city, the roaring, shrieking and honking, music arises; musicians catch you attention, draw you in closer. The passerby becomes spectator, in awe of the city’s many wonders. In these same streets, Nature—unflinching, intransigent—infiltrates the city’s grid. 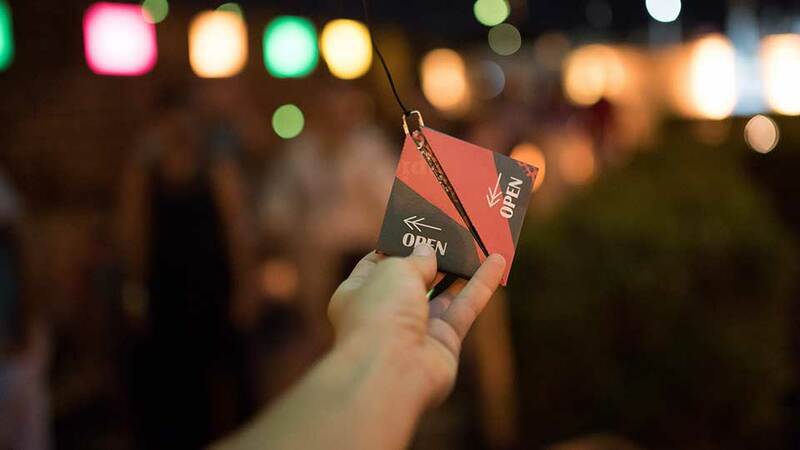 The pedestrianization of Bourbon Street over the course of the festival (5 days, 24h/24) is a pilot project that aspires to—with the help and support of shopkeepers and citizens—make the street come alive in a way that encapsulates the soul of our city. The idea is that Mauritians and travelers experience the capital as being more pedestrian-friendly. Bourbon Street will link the Granary and its surroundings to the Citadel, passing through the Food Market. LESS proposes a bamboo garden in the midst of the city, as if it had grown through the cracks of the bitumen. Résistance: it coils and intertwines to form a supple, undulating root that will proliferate and make the city greener. The root is tamed by Man, guided by its hands. Rencontre: it then becomes rigid (dry bamboo is used). 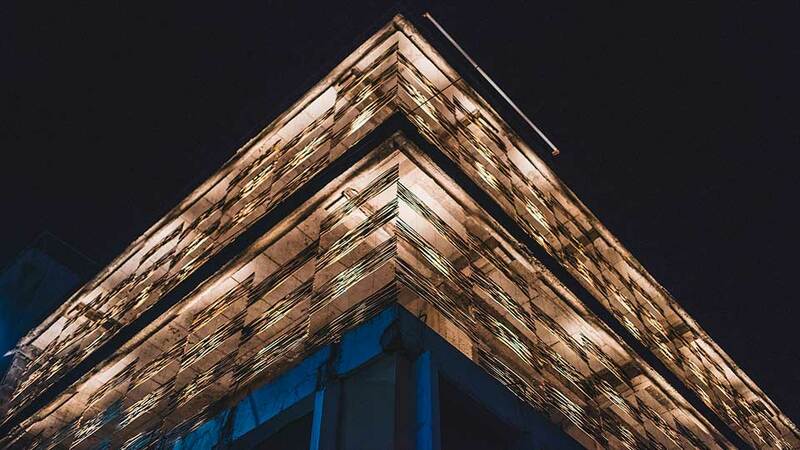 The bamboo strays from its primitive form, is woven (a tribute to artisans), then structured so as to give Mankind and the City a shelter: Collaboration. The 100% bamboo shelter can be used and occupied by passersby as a halt, a breathe of air. LESS is a collective, an encounter between four designers, pressed by a strong sense of urgency; that of questioning the place of Nature in our cityscapes, of the interrelationship between Nature and City. Their collaborative, spontaneous approach enables LESS to instill in each project a critical eye, technique, know-how and the experience of other thinkers of space to help their projects germinate, sprout, grow. The essence of their work is a reflection on what is “LESS-entiel,” the essential. A text by Malcom de Chazal that the artist once read, “Discussions d’un bosquet d’azalée,” in which the author overhears the conversations of a flower bed of azalea, is what instigated the installation. A stroll along Rue Bourbon brought to mind the text, and the artist caught himself eavesdropping on bits of conversations. The idea of reviving the edifice was suddenly no longer an impulse but a necessity. The artist planned a party and invited flowers. The tidbits of overheard conversations became the silhouettes standing in the frame. From the streets below, one can guess and deduce. Life energy seems to gush out of the abandoned building, where Nature—a dinner party guest—wears a brightly coloured dress. Azalea: A deciduous flowering shrub. Fragile, gentle and brightly coloured, the Azalea symbolizes subtle joy, happiness concealed. Feuillets is a photography project that aims to showcase Nature in a new creative perspective. We invited 10 local photographers to join us on this project, who will, through their lenses, show us what we often miss with the naked eye. We have chosen Mauritius and Rodrigues as locations, for two simple reasons: we are Mauritians and we live on a beautiful tropical island where there is so much to explore, especially when it comes to nature. Through photography, we want to make the festival-goers see and feel the beauty of our natural environment. We want them to feel emotionally connected with the photographs and see nature as they have never seen it before. This mission is also carried out with the participation of Lisa Ducasse, a young Mauritian poet who wrote a series of short poems to accompany each of the photographs. 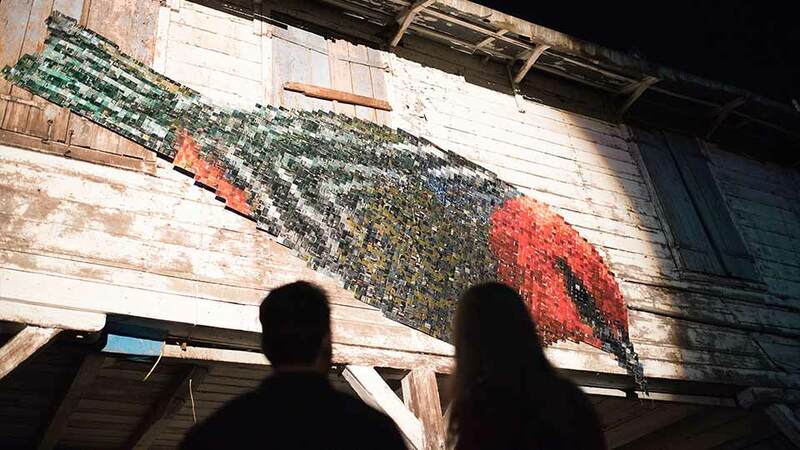 Artists have challenged art by situating it in non-art contexts: streets, facades, walls—formats and mediums that fuel creativity, ignite minds and provide inspiration. Urban art is, at times, affected by strong currents of activism and subversion. It also has the power to reface, recontextualize, re-energize and reimagine a building and its place in the neighbourhood. Street Art strengthens a city’s urban identity, drives economic growth and enhances the quality of life in cities. Music—produced and performed independently or collectively—contributes to the pace and pulse of a place. It inspires and empowers, but above all it unites. Music should be in the hands and minds of the interested and the creative. Seventy musicians changing the face of the local music scene will be present throughout the festival. Small places often prove to be the best eating spots in many cities. The night is filled with the smells of the sizzling, steaming, frying, searing, baking and roasting of street fare. 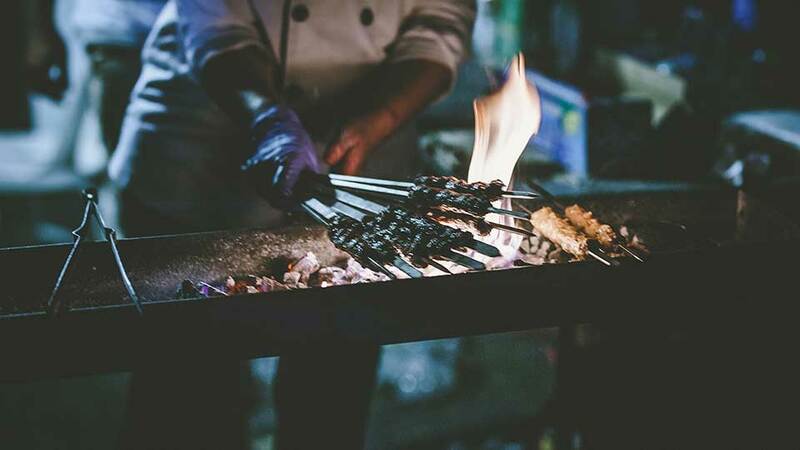 Sample the specialties from an impressive list of food vendors that blend many styles of cooking. 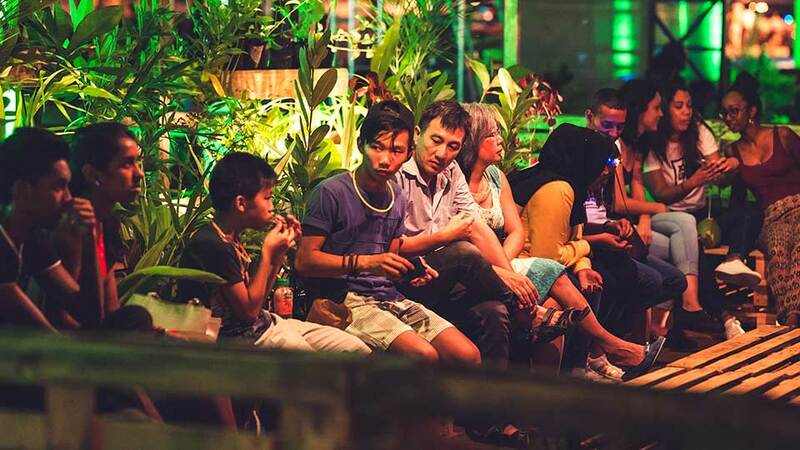 When you’ve had your fill of art, head over to the open-air food stalls and nosh to your heart’s content. The forgotten corner of the city is history condensed. Historians go as far as to say that it may even be the cradle of Port Louis. The Granary and surrounding streets and edifices carry a human dimension. These locales are inhabited by a flow of migrants (every single Mauritian is tied directly or indirectly to these places), who crossed the borders of the island, worked in the granary, healed at the hospital, and walked along the docks, weaving in and out of the large stone warehouses, kept cool in the blistering heat. An exhibition imagined and curated by Charlie. A timeless street where Nature has reclaimed its dominion over the edifices constructed by man. Vines crawl up the crumbling stone walls. The Granary stands still, imposing and dramatic. The beauty of the existing space comes alive through art, through an exhibition curated by Charlie. The exhibition presents itself as a Walk-Through, a passage, a solitary journey between thirty one installations. Suspended gardens, embroidery, industrial forests, figurines, motherhood, a series of paintings with a map, satellite dishes, waterlilies, a waterfall… The curation is founded on the evolution of mankind and its dependency on nature. Visitors may take their sweet time or step up the pace—however they choose to walk, they must—demands Charlie—enjoy the journey. As you amble through the exhibition at the Granary, you will come across a structure made of wood crates: My Pop-Up Store. 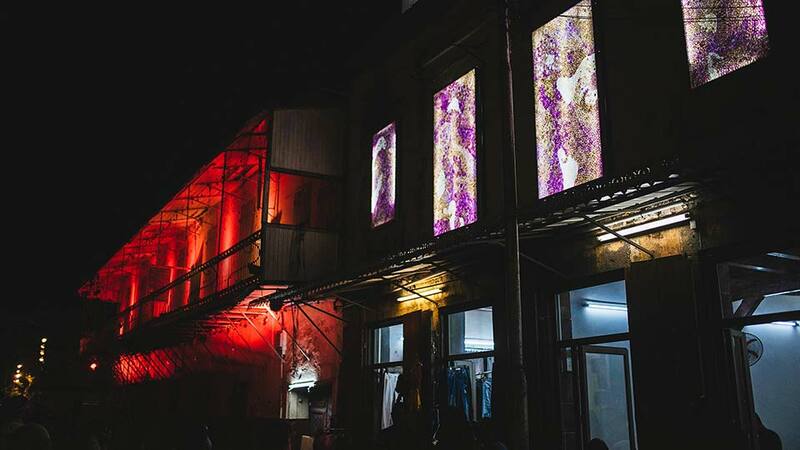 A collaboration between In Situ, Imaaya, Emizibo and Porlwi, the temporary boutique is an artwork in itself and will house twenty or so Mauritian creators, an eclectic mix of artists and artisans. This urban renewal project, a study of a Heritage listed site, involves not just its physical reality, but encompasses its historic lineage as well. 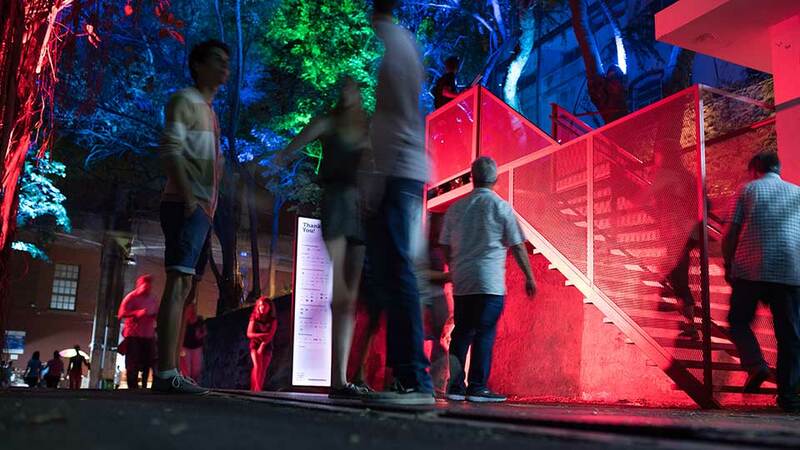 Via a red staircase, the street is connected to an urban park, an oasis wrapped within the old walls of the city. The staircase also connects the layers of time, as the park site sits at the same level dating back to when it was used as the garden yard for the slave hospital. The discarded weighing room built for the use of the granary, and where still sits the red scale, is used to present traces of the stories which bring the site into being. The night-long performance is born of an encounter between two contemporary dance troupes, one from Reunion, the other, Mauritian. The troupes have chosen to collaborate and merge their distinct artistic universes for the duration of the Porlwi festival. How can we perceive—with clarity and hyperawareness—the interactions between living beings and the ecosystem of which they form a whole? 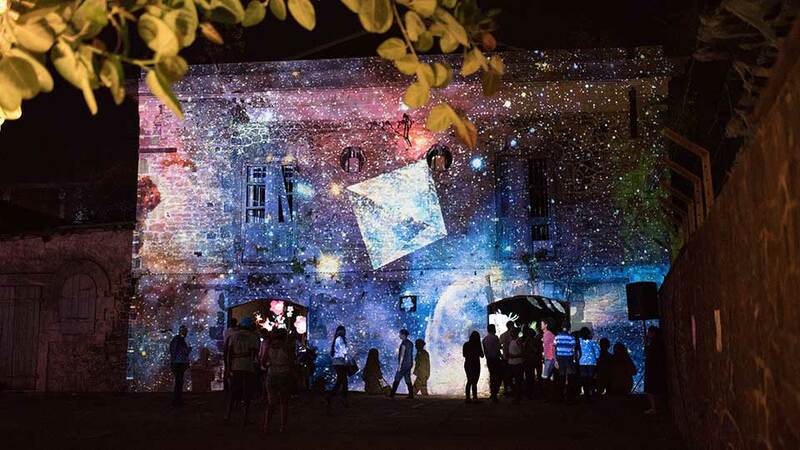 The questioning by the artists leads to the creation itself: an interdisciplinary nexus that plunges the viewer into an interactive realm, one that captures the Mauritian patrimony, and where a three-act performance unravels throughout the night. Visuals, sounds, lighting, and the supple and graceful movements of bodies in motion make for an original, Holistik creation. Time-based artist Meghan Judge’s artmaking is by nature ephemeral and site-specific. The arrangements of objects that appear on the walls of the military hospital are here to remind us that we are no more than an infinitesimal speck in the immensity of the cosmos, and yet intrinsically connected as one. The experience—an ode to the beauty and poetry of the natural world—is as humbling as it is entrancing. She pushes the viewer to engage and move across borders—both tangible and imagined. Beyond the Visible. Hidden from the eyes of civilization; plants and animals thrive in secrecy. Hibiscus, dodos and other creatures have reclaimed the abandoned Military Hospital and made it their own. Inside this secluded space, the invisible is revealed; humans can see like insects and meet the true spirit of the island. For Porlwi by Nature, the doors of this mysterious world have been opened to unveil its hidden magic. Flower Whisper invites you to see the world through animal eyes. Here plants dress themselves in bright colours to gossip and converse with birds and insects. Through an artistic interpretation, their hidden language is revealed to humans. Now listen carefully to understand their subtle message. In the second room, let your imagination run free in between illusion and reality. The Spirit of the Island welcomes you into its domain. Felt but usually unseen, this warm creature is the essence of land and water; of the endemic life forms living together in harmony in Mauritius before human memory. Immerse yourself and be part of this magical ecosystem. Two centuries ago, when Port Louis was founded, a law required that all households plant a fruit tree in their interior courtyards or gardens. These are the century-old trees one perceives, perched on a rooftop. The standing tree, a survivor, is a witness to time passing, to the history of a place. Anba Pie is an educational and interactive installation that fuses the tree, the fruit and the seed in a sort of green guerilla that serves as an invitation to plant and cultivate in the city. Artisanal paper “fruits” containing seeds of knowledge hang from the tree, waiting to be picked. Inside the fruit, are seeds of local fruits and vegetables, which people can take home and sow in vegetable gardens, on balconies, on plots of land. These plants, as they germinate and grow, will become symbolic of our future. 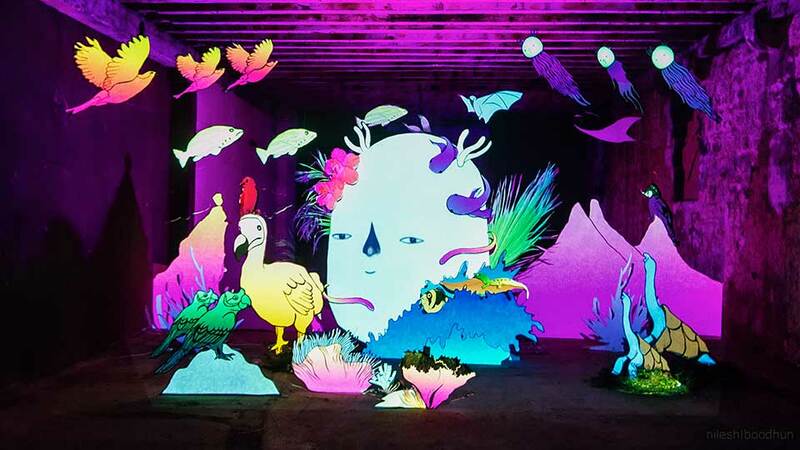 Naziha’s travels to the Amazonian forest and her encounters with tribes sparked “1 Heart 1 Tree,” a digitalized, green and citizen-centric installation. The project morphed into CIEL One Beat, One Tree. The idea is simple yet revolutionary: the human heart generates a beat that in turns yields a digital tree, creating a digital, virtual forest. For every virtual tree that is generated, a real tree is planted as part of an existing reforestation program. So far, Naziha’s art installation is linked to reforestation programs in Australia, Brazil, Senegal, India, France, Peru, Ivory Coast and now in Mauritius. 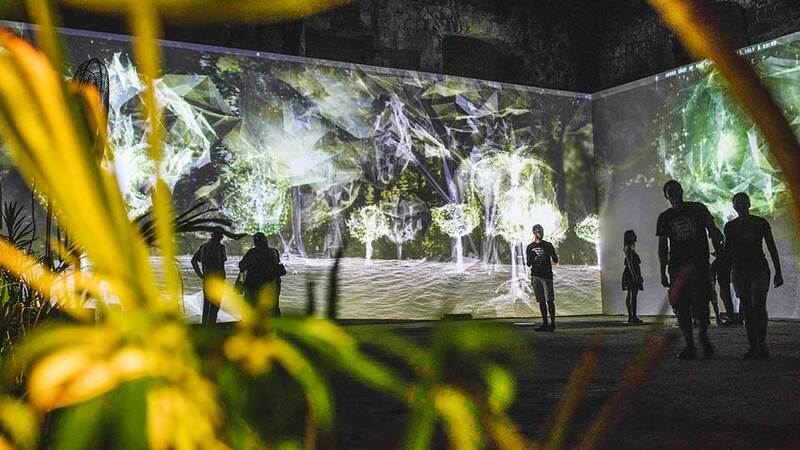 The virtual light forest will be transcribed as a real forest planted on the slopes of the hill of the Citadel, in partnership with Friends of the Environment and UNDP-Forena. CIEL One Beat, One Tree gives the festival goer a sense of ownership in helping reforest our planet with trees—our allies—, regulate our ecosystem and regenerate our environment. 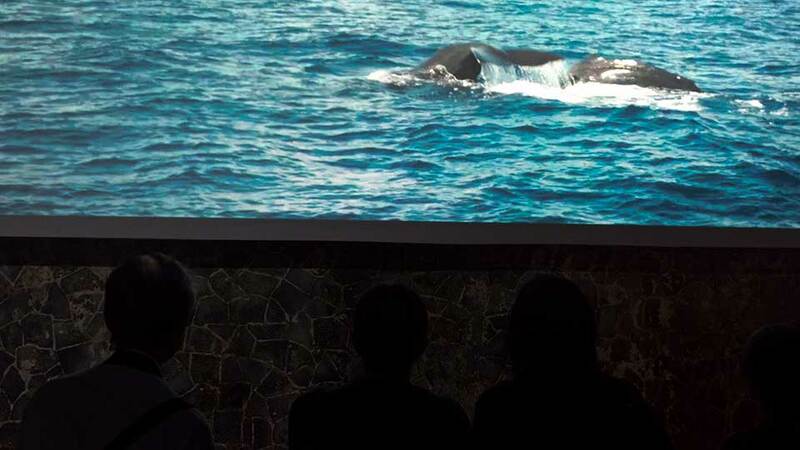 The exhibition Cétacé Mystérieux, realized by the artist-curator Tatiana Patchama, carries away the festival goer, taking him on a journey into the mysterious and fascinating world of the humpback whale. An interactive scenography creates a link between the imaginary and science, between the perspective of the child—naive and sensitive—and that of the scientist, a mix of questioning and knowledge. Like the giants that roam these waters, the exhibition knows no barriers and will travel throughout the Indian Ocean region. 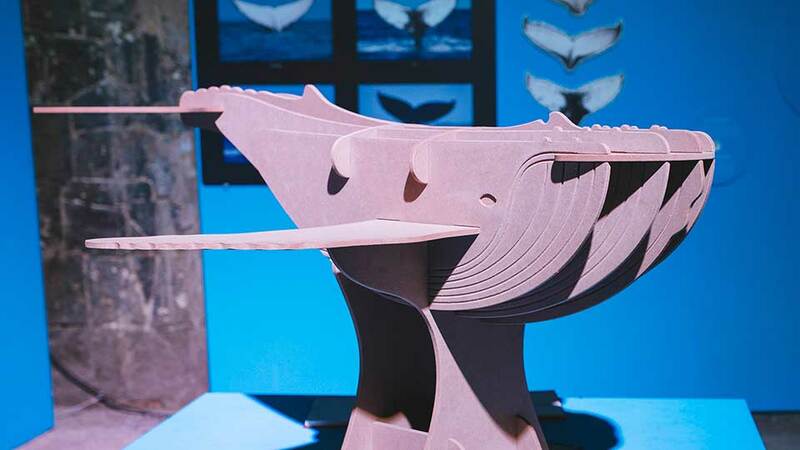 In providing a showcase for the humpback whale, the exhibition contributes to its protection. René Heuzey plunges us into the depths of the sea with La Planète des Géants, an encounter with those marine mammals commonly referred to as the gentle giants: cetacea. The exceptional documentary in three parts, filmed in Mauritius by Guillaume Vincent with René as DOP, investigates some of the largest predators of our planet: sperm whales. René Heuzey follows sedentary families of sperm whales that live off the coast of Mauritius but also gives evidence of the capacity of sperm whales, killer whales, whales and dolphins to communicate with one another. In doing so, he demonstrates the richness of the region’s megafauna. “We discovered a whole family of sperm whales that live between Le Morne and Gunner’s Coin,” he explains. During the festival, Dock 3 will house a series of free Talks & Workshops which bring together specialized talent around culture and art, heritage, urban regeneration, and Porlwi’s theme this year, nature. 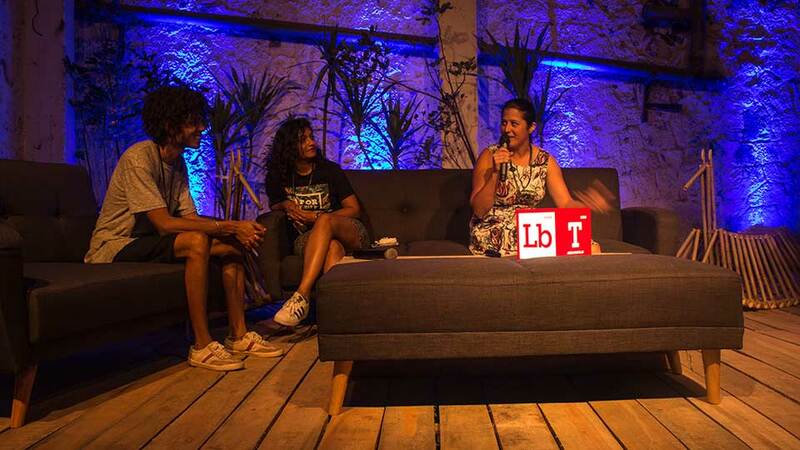 Through regular interventions showcasing Mauritian and international experts, the Talk & Workshop angles advocate for the transmission of skills and knowledge to the public at large. The audience is invited to listen, reflect, discuss, engage and exchange ideas. These activities form part of a long-term project, before and after the festival, and include students within the Youth unit. We will provide you a pre-tasting of what will be the Café: a place to come and chill after a hard day’s work, a place where you can have organic and healthy food, a place for intellectual stimulation through debates and round tables, a place for artists to showcase their talents and for NGOs to meet and train. The purpose is to generate revenue to fund the creation of Community Gardens which grow organic food. Through VR (virtual reality) you will visualize what we mean by "We grow for your health." These theatrical productions, a product of an artists’ residency—powerful vehicles for a change in behaviour—have a quirky tone, far from the didactic and moralistic discourses that pervade. Confronted by the climatic turmoil, the comedians invite us to react. “Don’t give up! 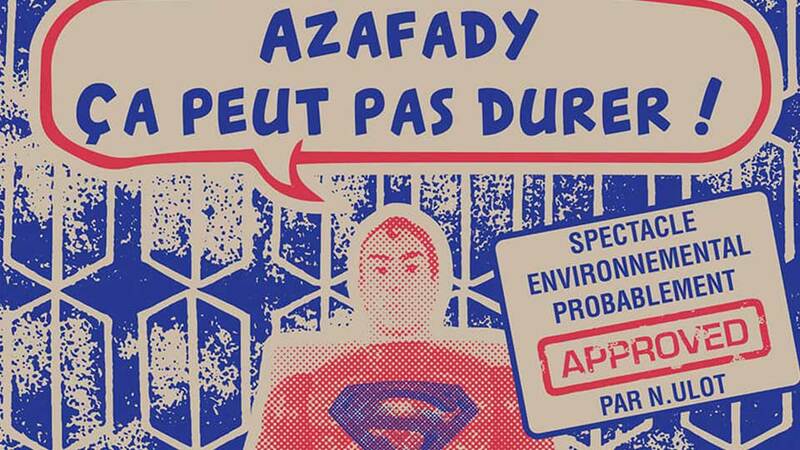 IMAGINE!” they cry out in their show, “Azafady, ça peut pas durer !” (it cannot keep going). For the creators of the show, as long as Man can invent, if nothing more than fragments of a conversation or a song, then Earth will be saved. 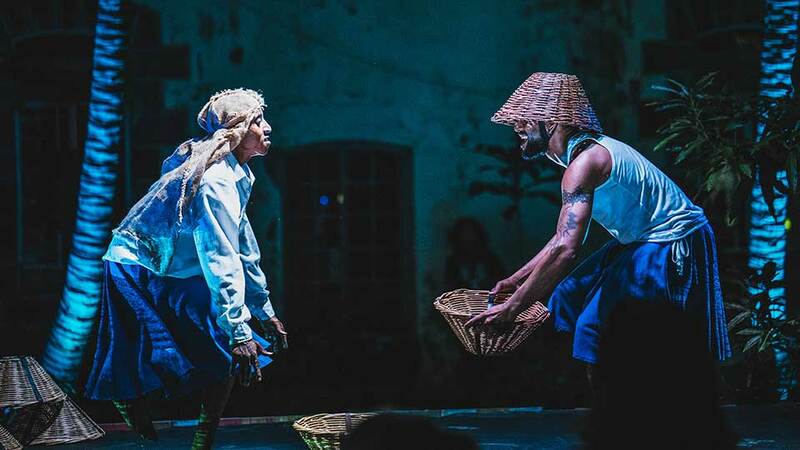 It’s in Diego Suarez, in the north of Madagascar, that writers, visual artists, comedians, musicians, stage and video directors convene to rally up their knowledge and conceive theatrical productions. In parallel, the Indian Ocean Commission, through its ENERGIES program, backed by the European Union, raises awareness on renewable energies and their efficiency. In Mai 2016, an encounter with the team, “Voix de la marionnette”, sparks the desire to create a new residency devoted to the issue of energies. The liminality of the Waterfront draws those seeking respite from the city bustle. Maybe it is the salty sea breeze or the noise of the port that is reassuring. The gigantic ships moored in the bay, the smaller ones that sail between the banks. Maybe it is simply the quiet thoughts that go through our minds when we stand alongside a body of water. Dreams of ships, of sea travels, the first explorers, the unknown. The Waterfront connects the city to the sea. It is here to remind us of Port Louis’ role in the Spice Trade as a place where ships and sailors could pause, breathe. The Waterfront draws those seeking respite from the city bustle. Maybe it is the salty sea breeze or the constant hum of the port that is comforting. 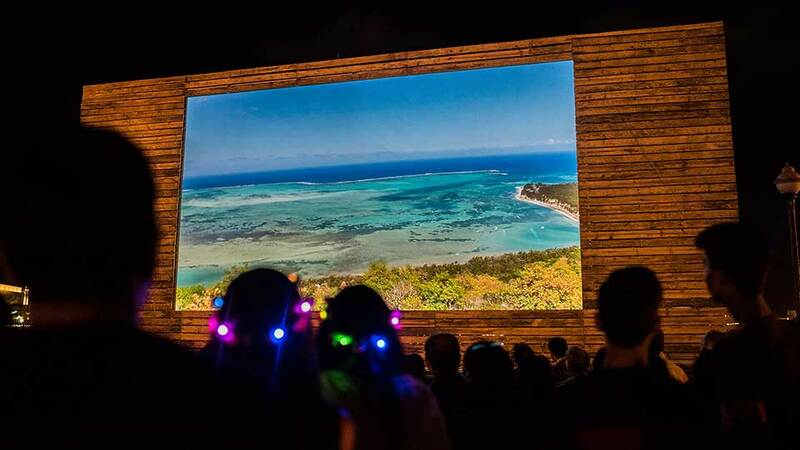 Those who usually amble along the harbour may take a seat at the open air cinema, which features a lineup of films that pertain to the sense of urgency that pervades our environment, to nature, to animals, to the sea, the planet. These films are packed with meaning and carry a take-home message, something to think about long after the film has ended. The expression “Kas Enn Poz” is a local favorite. It is an incitation to relax, take a break, to breathe a little. 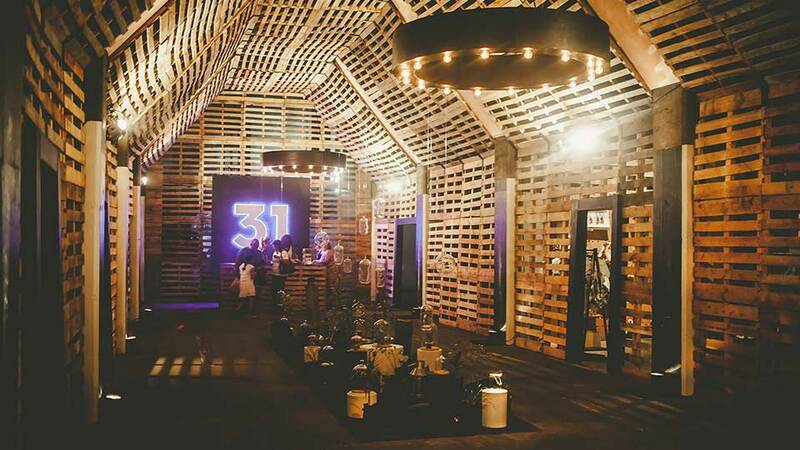 For this installation, the artist-designer will “upcycle”—that is use raw and used materials such as wood crates, to conceive and build a space where festival goers can pause and rest. True to the theme Nature, Kas Enn Poz will integrate greenery and plants—a mnemonic to remind us that our natural surroundings are vital to our happiness. The Caudan has come to symbolize gathering—it is a place of encounter, of meeting-up, where families and friends can, in their own sweet time, stroll along the harbour, pause at a café, go to a movie. It symbolizes interaction—between the people that amble and those who contribute to its existence—, and finally, urbanism (it is an exemplar of the coexistence between mankind and his natural surroundings.) Stepping into the Caudan is like being transported to an exciting, at times contemplative space, on the edge of the harbour, in a sort of liminal space between land and water. The edifices are laden with historical references to past and present. The transience and impermanence of the ships moored in the harbour clash with the immortal memories of our time spent at the Caudan, strolling along the boardwalk, gazing at the scintillating port, interacting with others. Nature Cocoon is an invitation to reconsider the sky and our environment. Through a visual and sound experience that could be described as a surreal exploration of Space, the viewer will discover that all is governed by the similar rules that gave birth to our Earth, its fauna, flora, our Space and our stars. The vein of a leaf is not so different than the anatomy of a city, and even less so than our iris—a nebula set in the eye. 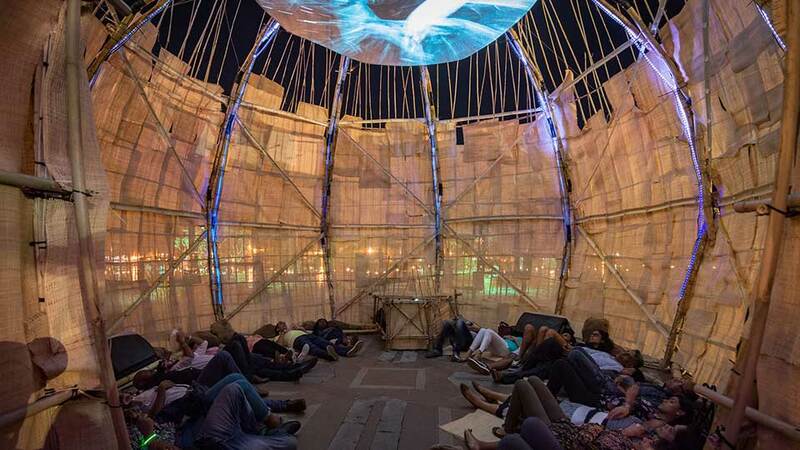 Inside a cocoon made of bamboo, noises and visuals create surreal parallels that generate a feeling of unity through the meditative experience, while simultaneously questioning the equilibrium between the species, between inertia and aliveness. The Caudan stands for urbanism, for the coexistence between mankind and his natural surroundings. Its vision for the future, which begins now, is a greener Caudan. Caudan Goes Green are the steps taken to create a space where urban architecture and design integrates greenery and nature: the planting of a symbolic tree, balconies with potted flowers and herbs, a green wall, natural shade. The Caudan has, since its inception, been a place of encounter and gathering. Urban furnishing will create zones, between land and sea, where the flâneur can stop and pause. It is in the streets that the city happens, really. It is on the streets that hundreds of thousands of persons have walked, bartered, discussed, crossed paths… Against the hum of the city, the roaring, shrieking and honking, these silent performers catch your attention, draw you in closer. The passerby becomes spectator, in awe of the city’s many wonders. These dancers, mimes, fire-eaters, clowns and contortionists inhabit the city’s corners; their performances of the kind that bring energy to the metropolises of this world. From the radiant energy of Porlwi by Light, a passionate movement was born in the heart of the people for the culture and history of their country. The festival in the capital illuminated the gathering of a nation around its mutual values, through a meeting of cultures that made tangible its unique, harmonious cosmopolitan society under the glittering nightlights of the city. 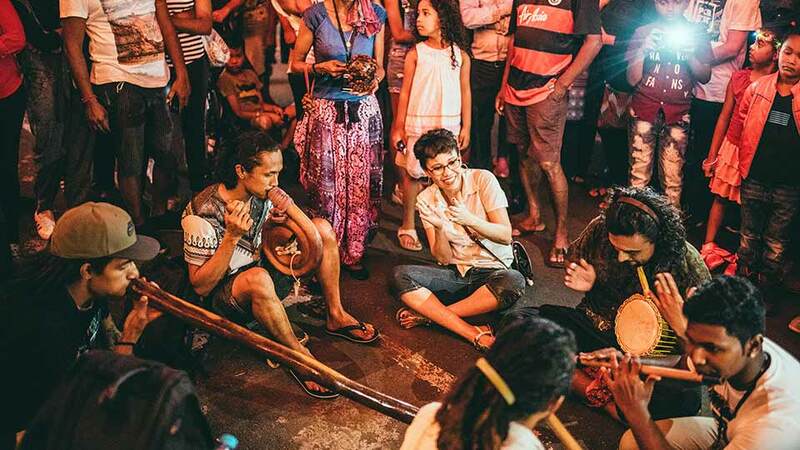 Over and above the artistic success of the festival, the human contact was strong: those exchanged glances, shared smiles, brief conversations over an exhibit...the sensation of osmosis flowed through these moments illuminating the avenues of Port Louis. 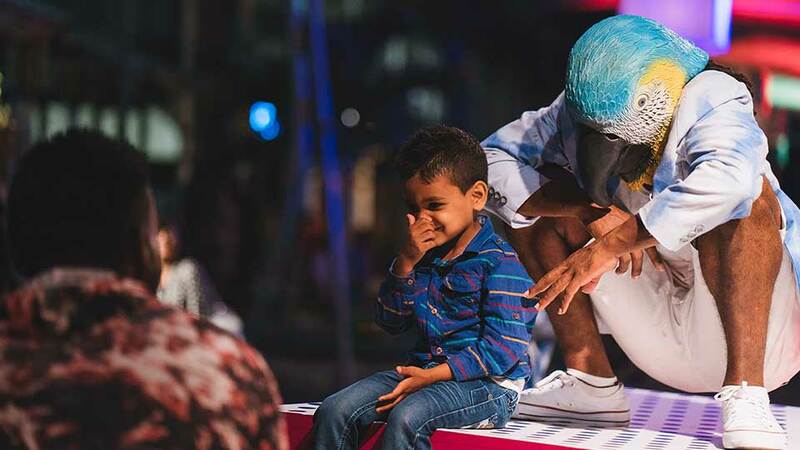 The population celebrated their city, it was time for the city to celebrate its people–the second edition of the festival put the human in the spotlight. These beings, who crossed paths and met. These nation builders, world travelers and the generations that followed them creating a matrix of shared connections. That moment, where an individual, filled with his history, his past and his personal experience, went towards another in a spirit of sharing and gave birth to a population. Forming a group of individuals, a melting pot that became a nation. United in their cultural diversity, symbolizing a cosmopolitan way of life, Porlwi by People celebrated this awareness of and this belonging to a common identity. 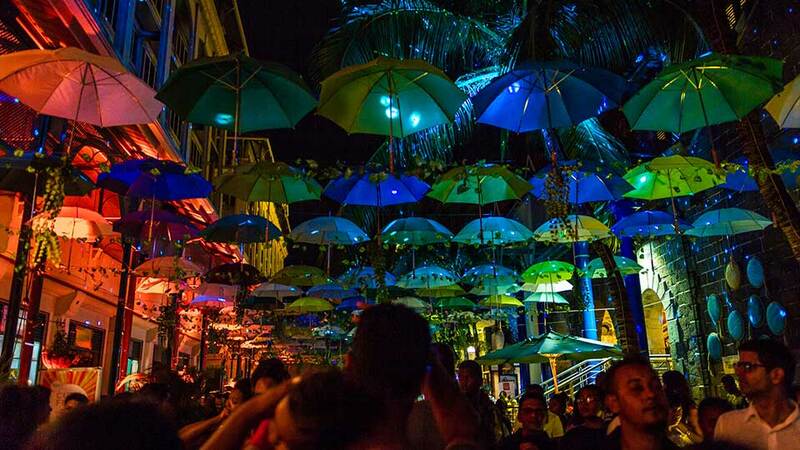 Porlwi by Light, a festival of intimate stories spun on the streets of the capital city of Port Louis, where shadows intertwine with a dim, warm light. A feast of multi-threaded cultures and narratives which through their thoughtfulness smile and make the December in Mauritius unlike any other. 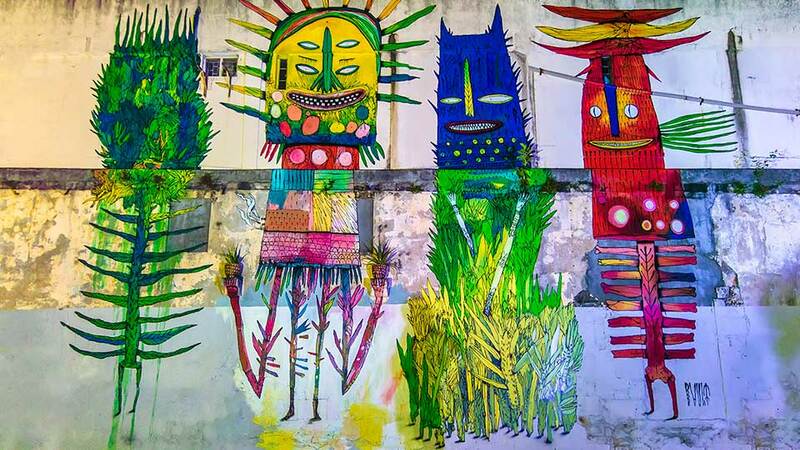 Since its very beginning, the Porlwi Collective is driven by the desire to revitalise the cultural aura of Port Louis and aims at building a creative platform, allowing the public and private sectors to manifest and channel support for contemporary art forms and urban regeneration. 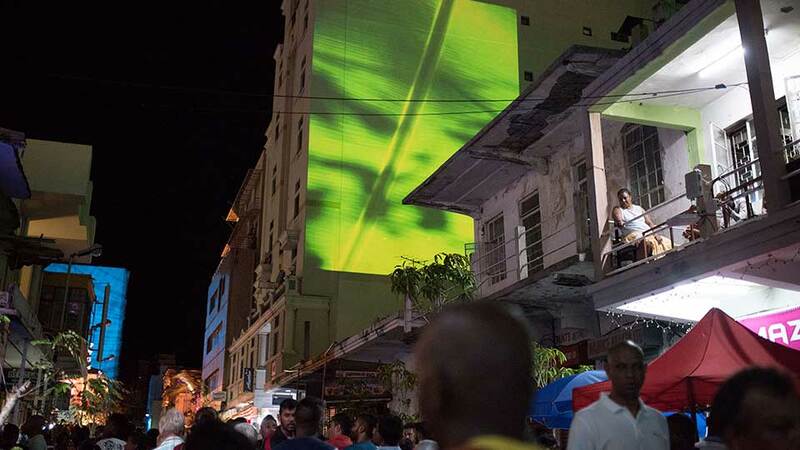 Driven by the desire to revitalize the cultural aura of Port Louis, the focus of the first event was to give the capital a national and international reputation on the contemporary art scene. A celebration of the intellectual and architectural history of our beloved city. Port Louis pulls from all periods of Mauritian history, both in terms of architecture and social life. 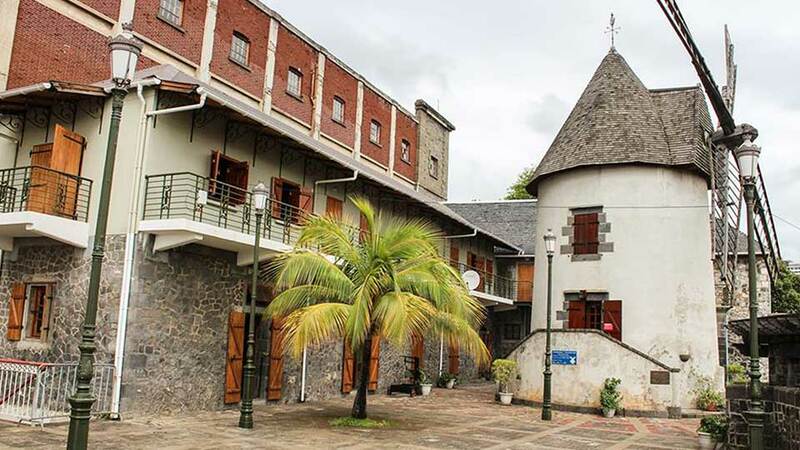 To highlight this, the organizing committee has designed an innovative project, one which ensures a rare and memorable experience for visitors who seek to explore Port Louis’ rich history and glimpses of its contemporary art scene. Illuminated, festive and lively, a Port Louis showcasing a magical series of national and international artistic performances, light installations, video projections, music, performing arts, literature, guided tours, educational inserts and interactive happenings—all for a duration of three nights to invigorate our capital city.